Keep yourself and your kitchen cool while you cook dinner in your crock pot! I am recovering from a crazy week. A crazy week where no matter what I did or where I was going, I was 10 minutes late. I hate being late. I feel it’s somewhat of a character flaw. I get that from my mother. I remember her telling me over and over again as a child, that it’s one thing for you to wait on someone, but it’s completely unacceptable to have someone wait on you. This has become a motto that I live by. Or I did, up until last week. But in all fairness to me, by the time my mom taught me that life lesson, she was only shuffling around one kid-me. I have 3 kids. And it’s summer. We move slower in the summertime. Getting 3 kids to swim team practice/ swim lessons in the morning is no easy task, which is why I found myself 10 minutes late. Afterwards we would rush home, change, shovel lunch, and trek across town to art camp, where we’d arrive 10 minutes late. I would rush back home to catch up on things before heading back across town to pick up my three pint sized Picasso’s. Thankfully, dinner would be waiting for us in the crock pot (a BIG shout out to KitchenAid for sending me this gorgeous, practical and totally indispensable slow cooker to review) because by the time we got home there’d be little time to spare before our evening sporting events would begin-where, you guessed it, we’d arrive 10 minutes late! I personally love brisket. It’s probably one of the few types of red meat I could eat several times a week. I typically eat it smoked, but alas, I do not own a smoker. And now, I have no use for one. 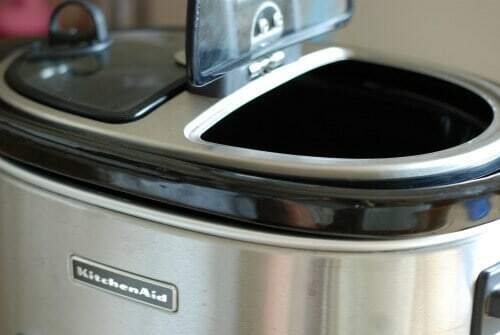 This KitchenAid crock pot was the perfect solution! I mixed a few spices together and rubbed this over the brisket. Next I whisked my sauce in a bowl to pour over the whole thing. The crock pot did the rest! The brisket cooked slow and low all day. Aside from saving me time, the best part about using the slow cooker is NOT having to turn on the oven! I think we all hide our crock pots during the summer months and then dust them off when the weather turns cool and we start craving chili and soup! I love having a way to cook dinner for the family that keeps me and my kitchen cool and requires a minimal amount of effort! I used my crock pot all week! More posts to come! Crock pot…I love you. Brisket… I love you too. And sauce, well, I am smitten with you! 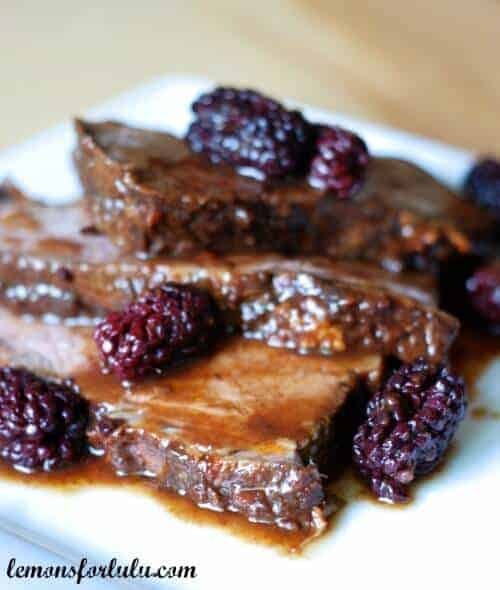 Plump blackberries and tangy balsamic vinegar make one incredible topping for brisket. Time to dig out the crock pot my friends, dinner is waiting! 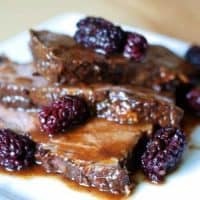 Hearty beef brisket is covered in a simple spice rub and then smothered in a flavorful balsamic sauce infused with fresh blackberries! Combine paprika, cumin, red pepper, oregano, thyme, salt and pepper. Rub spices over brisket. Place brisket in crockpot. In a bowl, combine all the sauce ingredients. Pour over brisket. Cook on high for 1 hour. Reduce temperature to low and cook an additional 6-7 hours or until brisket if fork tender. I love this recipe – berries are so perfect right nOw, and this is such an original way to use them! 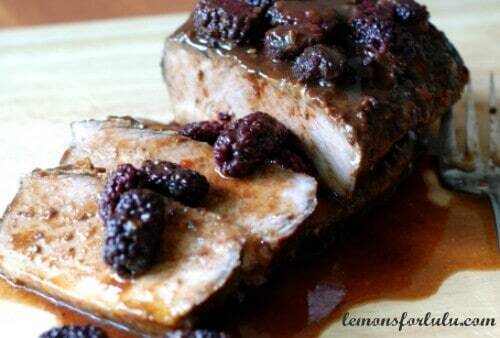 I agree, the berries I have been bringing home have been so sweet, which is why I had to use them in this dish! I love my balsamic, especially paired with berries. This crock pot dish sounds like a winner! Oh my Gosh this looks amazing! My hubby loves brisket! I am going to have to try this out! Wow lady! You sound so busy! This brisket looks amazing!! Makes running around a lot more enjoyable! I hate being late also and my hubby always seems to make us late. This looks amazing, love the sauce. Sure, blame it on the husband Meg. Just kidding!! Hi, I love crockpot meals and the flavors of this look wonderful. 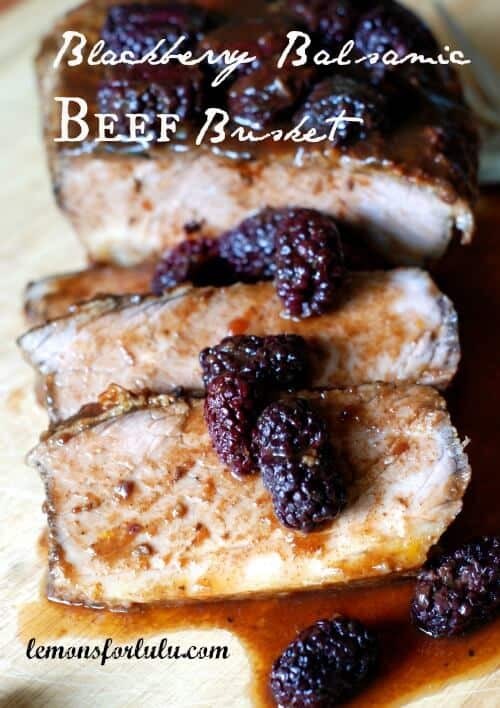 My hubby is a brisket fan and I love blackberries. Pinned! Thanks Deb! I really love brisket too! That sounds amazing! I love my Crockpot but need to use it more! 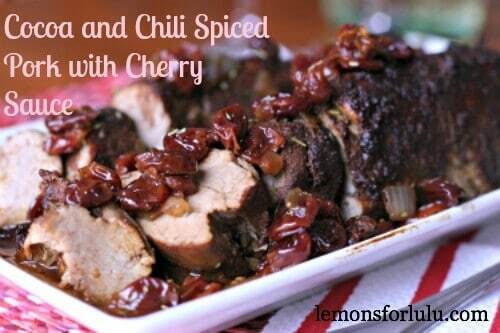 Love crock pot recipes especially in the summer time! Your recipe rocks! My husband would love coming home from work and having this for dinner! I need to have more crock pot recipes! This was such a hit. My husband LOVED it! That looks delicious, Tanya! I love cooking roasts in the slow cooker. They always come out phenomenal! Pinning this! I agree Julie! In fact, I don’t think ever even use my oven to roast meat. Yes Lisa, the crockpot is your friend! Oh man, this sounds perfect. My family would devour it. Definitely trying it soon, thanks so much for sharing Tanya! It was a winner Jen! Thank you. Ooooh Brisket in the crock pot! That is one of those cuts that seems fancy like I need to be at a BBQ place or something. Love that you threw it in the crock pot! Also– the blackberries? Um, yes. I flipping HATE being late. It stresses me out soooo badly and Chad is late All. The. Time. But we do not have 3 kids. Only 2. And they don’t go with him to work so I think you get a free pass (but I will continue stress when HE leaves here late every day). I always thought brisket was a fancy piece of meat too! But it is so easy and the crockpot worked beautifully! Thanks Heather! And yeah, being late totally stresses me out, but I can’t seem to change it! I hate to tell you this, but I am always late. Always! My mom was the complete opposite of yours and we were always late growing up. Sadly now I am the late mom…or the fashionably late mom as I call it. It’s not a good habit to have and I try. But then I’m late anyway! Haha! Anyway, I am loving this sauce…I was actually just thinking about adding blackberries to my crockpot but I wasn’t quite sure what or how to do it. You solved all that for me 🙂 It looks amazing!!! Thats funny Jocelyn! I think I have to accept that I am now a person this always late! Thanks Jocelyn! I do own a smoker and am SO going to try this.